The Dutch science agenda for 2015-2025: horror or opportunity ? Listening to Marvin Gaye, What is going on? The minister of Education, Culture and Science presented a “Vision“ (November 2014 in Dutch) w.r.t. the science research agenda till 2025. This April 2015 all Dutch citizens and their organisations can send in research questions. You only need a one-liner and a short explanation of max 200 words. If you have an idea or want to check ideas from others, check their website here. “These [policy choices] all follow from one major consideration: the desire to steer science in such a way that it becomes (even) more useful for Dutch society and to the Dutch business sector in particular. I think, and will motivate in this document, that this idea is narrow-minded and misconceived. I am strongly convinced that following up on this idea can only be counterproductive, i.e., that it will hurt Dutch science and also the competitiveness of the Dutch economy. Dutch politeness implies that I will say something positive about this latest science policy document. The “Vision” indeed acknowledges that the Dutch science system currently is performing very well: with limited means (i.e. government expenditures at the EU and OECD average, but limited outlays from the private sector), it belongs to the top world-wide (p. 5). It proposes that research in schools of higher vocational training be given more emphasis and that more attention be devoted to science communication and the popularization of research. Personally, I believe that multidisciplinary research indeed should receive more attention, but I acknowledge that I am not completely sure. The last sentence of the “Vision” is the best one, it acknowledges that the essence of science is curiosity about why and how things are as they are. Van Damme’s main criticism is that the “Vision” discusses science but isn’t up to scientific standards and wouldn’t pass peer-review. It are bureaucrats who didn’t make it into professorships who judge about the professors and their future research topics. My problem now is that I didn’t read that “Vision” while Van Damme’s rejection is not inviting to start reading. It requires some masochism to read an ill-informed, narrow minded and misconceived text, only to verify that it is ill-informed, narrow minded and misconceived. Who is minister Jet Bussemaker ? The minister of Education, Culture and Science is Jet Bussemaker (1961) – pronounce “Yet Buhs-seh-mah-ker”. She has a doctorate in political theory, but apparently didn’t develop adequate respect for science, at least to make Eric van Damme happy. Van Damme claims that writing a thesis may also be good preparation for non-scientific jobs, but perhaps he ought to make an exception for the minister herself. As a member of Dutch Parliament in 1998-2007 for the Dutch Labour Party (PvdA) Bussemaker specialized in “employment policy, health care and taxes”. A doctorate in political theory need not qualify for economics. Still, studying political theory might come with the lesson that one might have to be flexible. Bussemaker in dealing with employment and taxes didn’t do anything about the censorship of economic science since 1990 by the directorate of the Dutch Central Planning Bureau (CPB) on my analysis on emploment and taxes. Remember that this session of Parliament after 1998 dealt with some decisions on the euro, like the entry of Greece into the Eurozone. Check the amendment in 2000 by former professor of economics and then parliamentarian Henk de Haan that Greece shouldn’t enter, while minister of Finance Gerrit Zalm claimed that Greece was making impressive progress – see this article in De Groene 2011-06-08. In 1997-2000 Finance minister Gerrit Zalm (VVD) and underminister Willem Vermeend (PvdA) presented a tax plan, with a crucial lie w.r.t. tax exemption with quite an impact on employment, see here. Obviously Bussemaker didn’t have sufficient background to keep track of what Zalm & Vermeend were doing. I didn’t check whether she was modest enough to say so. In 2013 there was tax fraud by Bulgarians so that underminister Frans Weekers had to resign – but the real problem had been created by Zalm & Vermeend, see this paper in English and this summary in Dutch. When the economic crisis started in 2007, Bussemaker became underminister for Health, Welfare and Sport, so that it might have been fortunate for her that she didn’t have to think about the economic crisis and the consequences for employment. I am just being critical about my own domain. Obviously Jet Bussemaker must have done some good things in other areas. The ideas submitted for the agenda will be judged by Alexander Rinnooy Kan (1949) and Beatrice de Graaf (1976). Rinnooy Kan has a background in mathematics and econometrics, was professor in operations research in Rotterdam, and became a pillar in Dutch society as rector magnificus, chairman of the employers union, member of the board of ING, chairman of the Social Economic Council (SER), and has now returned to a professorship in Amsterdam. Obviously he didn’t do anything about the censorship of science by the directorate of the CPB, but perhaps I should have tried to speak with him about that longer. Rinnooy Kan was instrumental in getting his co-author and fellow operations research mathematician Jan Karel Lenstra to do something about the education in mathematics and arithmetic. Professor Lenstra however has no background in didactics of mathematics, so this became a disaster, and of course it is a breach in research integrity since scientists should not claim expertise which they do not have, see my protest. Beatrice de Graaf grew up in Putten, where her grandfather managed to escape the German razzia in 1944 that deported more than 600 men of which only 48 returned. As a junior highschool student Beatrice watched with her father the TV series Tour of Duty (USA 1987-1990) about the Vietnam war, and that had a great impact on her. Her focus now is on terrorism, with lone wolves and methods for deradicalisation. One of her findings is that the “Dutch success” in preventing radicalisation like in Ireland (IRA), Germany (RAF) and Italy (Red Brigade) was a result of perhaps luck but at least incompentence by the Dutch counterintelligence (BVD, now AIVD).The German police approach was tough and repressive, which forced the RAF sympathizers underground with more group-think and radicalisation. 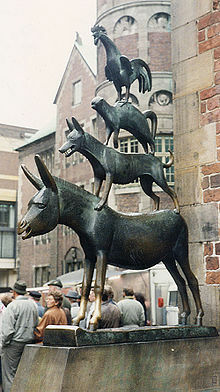 The BVD / AIVD intended to copy the German approach, but were amateurs, which allowed Dutch radicals (Rode Jeugd, Krakers, RaRa) to have rather normal lives and deradicalise themselves. Dutch views on the situation in Germany affected the internal discussions however too, thus, the stick and carrot still apply. What good is it when those people in Putten were killed for defending freedom of thought, when the Dutch government censors economic scientific freedom since 1990 ? How are you going to tackle terrorism when so many of the disadvantaged are locked in unemployment and poverty, caused by economic policies based upon censorship of science ? Let us compare, for the sake of clarity, the mental frame of terrorists with the (“autistic”) mathematical mind like of professors Hans Freudenthal (1905-1990) or Jan Karel Lenstra (1947) who presume that they know plenty about didactics of mathematics simply because they are professors of mathematics, or, indeed with the minds of the directorate of the Dutch Central Planning Bureau, who think that they already know enough so that they can censor stuff that they perhaps don’t understand themselves since they don’t feel like they have to ask questions or permit others to ask questions ? Perhaps psychologists can explain to us how these minds work, how they block contrary views, and how these ego’s can terrorize the rest of humanity – either with bombs or just plain old bureaucracy ? Who is free of sins may cast the first stone. It must be said that there might be some criticism for Eric himself too. I did inform professor Van Damme about the censorship of economic science by the directorate of the Dutch Central Planning Bureau since 1990 – and he didn’t do anything about it. I also informed Van Damme that one of the issues that is being censored is my paper on the 1951 Impossibility Theorem by Kenneth Arrow. See this weblog’s About page, on my book “Voting Theory for Democracy” (VTFD). (1) This mathematical theorem on the aggregation of preferences actually falls in the field that Van Damme teaches about. He could have checked my result and have judged that the directorate of the CPB shouldn’t have censored my paper on this topic – or in Van Damme’s words they were and are perhaps ill-informed, narrow minded and misconceived – whence he could have supported my suggestion for a parliamentarian enquiry and a boycott of Holland till the issue is resolved. However, none of this. (2) Van Damme’s inactivity on this hits himself with a vengeance. Namely, Arrow’s theorem that democracy would be mathematically impossible and that always some dictatorship would be required, has been feeding into the minds of the Western intelligentia since 1951. Importantly also into the minds of politicians and bureaucrats. Often also into the minds of students of political theory, for who this is a basic theorem, perhaps also those political theorists who become ministers of Science. Think of Jet Bussemaker. Thus, Van Damme had the opportunity to change those minds, didn’t do it, and now suffers the consequences – perhaps unaware how he helped cause his own misery. Concluding: Could this be an opportunity for my own proposals ? While I probably may well agree with Eric van Damme on his criticism on the Bussemaker report, I still did not read this. I am also inclined to optimism. People deserve a chance to change their minds. When Alexander Rinnooy Kan and Beatrice de Graaf suggest that they are open to new ideas, and indicate that they are going to study those, then this might also be an opportunity. Such an opportunity may be lacking in Russia or North Korea. The Appendix contains the research questions that I have submitted till now to the Dutch science research agenda till 2025. The links are to their website, in Dutch. Vladimir Putin called me on my fixed line and Xi Jinping was on my mobile phone. This difference already told everything. They didn’t know that the other was calling me too- though I wonder about uncle Xi. They were negotiating and got stuck again. 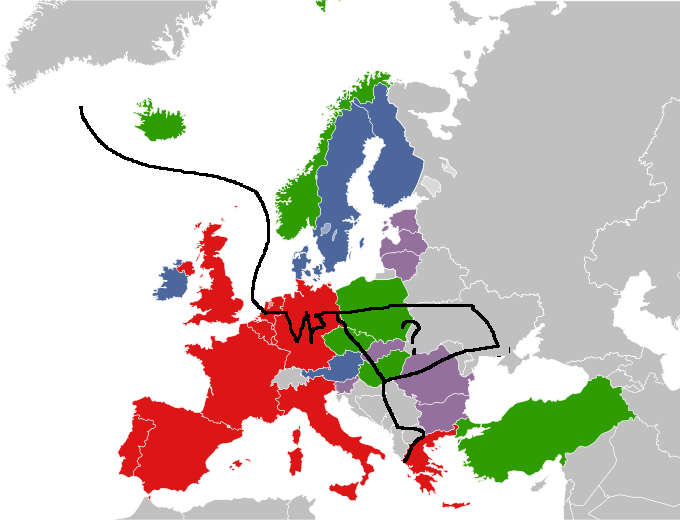 See the map for their current division of Europe. The question mark gives the contested region. Neither of them wants it – so that it likely becomes an European Nature Park in which the European Bison on Wisent can roam freely again. The fixed line went dead with a curse. The mobile connection ended with a polite click. One event that falls under the boycott of Holland is the Late Rembrandt exhibition at the Rijksmuseum in Amsterdam, February 12 – May 17. It is great but can also be crowded. 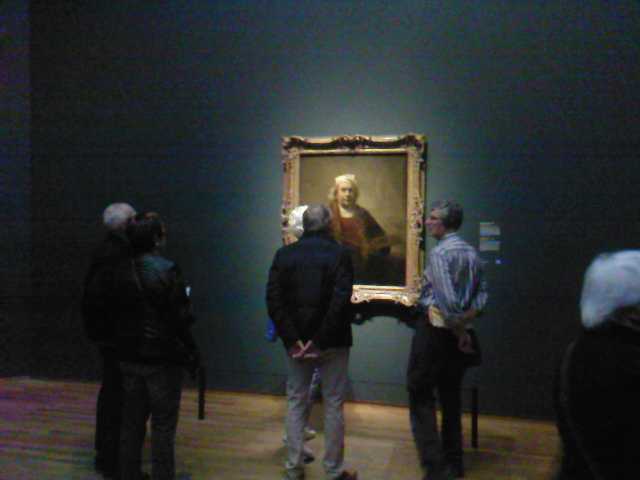 Don’t forget the BBC documentary on the Rembrandt by Himself exhibition last year in London. 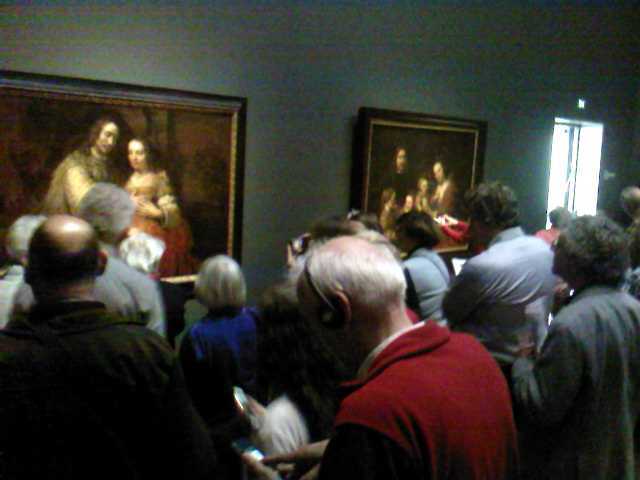 Because of the boycott we cannot have the BBC make a documentary of Late Rembrandt of course. Rotterdam professor of economics Bas Jacobs (1973) is the (new) president of the Royal Dutch Association for Political Economy (KVS), founded in 1849, and supposedly the oldest of still existing associations of scientific economists in the world. They are both descendants of survivors of the holocaust in Holland 1940-1945. The newspaper NRC-Handelsblad published a weekly exchange of letters by Jacobs and Grunberg with the title Capitalism and Freedom. The letters in Dutch from January 31 – April 11 are listed here, and my comment in Dutch is here. In the last weblog I discussed professor Wolfgang Streeck who speaks about the End of Capitalism – which Grunberg compares to Armageddon. The exchange appears to be rather decadent, and will not help the distressed in Europe. Jacobs is a professor in economics who had nothing to lose, and who deals with a lay person who has no training in economics. Grunberg has everything to lose, namely his reputation. He must entertain his readership, and walks down side-allies that a serious reader will not quite expect, which might suggest to a common readership that he has a quicksilver mind, but which on close inspection appears to consist of cheap tricks by someone who hasn’t studied economics or hasn’t even had a serious training in journalism. One trick is to mirror a question in different words, which merely suggests that you are dealing with the answer. Jacobs is blind to the censorship of economic science in Holland by the directorate of the Central Planning Bureau (CPB). Jacobs does not inform Grunberg about my protest against that censorship. Jacobs shares Streeck’s concerns but doesn’t see that Streeck overlooks the role of economic planning. He does not inform Grunberg about this either. Jacobs sees a solution only in a revival of “liberal capitalism” – but also gives a diagnosis that this will not happen. He calls it a “political choice” if it would not happen, but also describes that the electorate suffers from lack of knowledge and information – which doesn’t sound much like a “choice”. He doesn’t mention my suggestion of an Economic Supreme Court that would make that information available. While Streeck concludes that he has no solution, Jacobs has no solution either – but shies away from that clarity of mind. Grunberg appears to be a nihilist, with no academic training or interest, and with a rather simplistic sense of humor. Jacobs actually asks Grunberg for help. He estimates the loss of welfare in Holland by the crisis as close to 10% of GDP, annually. His diagnosis is that austerity has made the loss larger instead of less. Europe is locked in masochism – punishment and stagnation – and policy makers no longer listen to advice by economic scientists. He almost begs Grunberg whether he as a literary writer might be able to break the deadlock, and find the proper words to get people and policy makers come to their senses. Grunberg’s reply is the joke: if people are masochistic then politicians like prime minister Mark Rutte might be sadistic. My correspondent from Amsterdam called in distress: Wolfgang Streeck of the Max Planck Institute had spoken about the end of capitalism, and claimed that no-one has an idea how to solve this. There is the book “Buying Time. The delayed crisis of democratic capitalism” 2014.
the memo “An Economic Supreme Court” (2014) in the Newsletter of the UK Royal Economic Society. the advice to amend the Trias Politica structure with an Economic Supreme Court, such that economic advice and planning can be truly scientific – rather than being embedded within political processes as is the case nowadays. What the reader should appreciate is that professor Streeck – like I do – considers the developments since 1970. Indeed, you can only appreciate what is happening when you take the longer view. For example: the years of Reagan and Thatcher were actually Keynesian years 1981-2007. Link up to World War I for the failure of the Trias Politica. We may imagine that major parts of Europe (Amsterdam) and the USA will start to look like parts of Syria and/or the Philippines. Professor Streeck will think that Holland is an open minded country, especially when they are so nice to give him all this attention. In this way he will not observe the closed Dutch mind. Nobody will tell him about the censorship of economic since since 1990 and the need to boycott Holland till that is resolved. Professor Streeck visited Holland and left it again, still thinking that no-one has any idea for a solution, while that solution has already been developed and the Dutch CPB (and put into a drawer). A google also showed a book by Streeck and Thelen, “Beyond continuity : institutional change in advanced political economies” (2005). It so happens that I sent this email to professor Thelen in 2013. Did she read it, comprehend it, and communicate it to Streeck ? The email mentions Gerrit Zalm who as CEO of ABN AMRO came up in our last weblog discussion on bank bonuses. It is a small world – and a small country. Some authors look at the links between Greece and the Near East in their ancient myths and literature. Apart from mythology this mainly concerns Homer with the Iliad and the Odyssee – but we should not exclude the philosophies from Pythagoras onward. For the Near East think about e.g. Gilgamesh and the Hebrew Bible (the Tenach ~ Old Testament). Three authors caught my attention. I am no student of this realm and hesitate to read their books. However, I can roughly understand what is reported about this area of research, and then wonder what may be relevant when we consider what mathematics education can contribute to the education on Jesus and the origin of Christianity. Mathematics deals with more than numbers and space, it also deals with patterns. Bruce Louden, Homer’s Odyssey and the Near East, 2011, with this review by Jonathan L. Ready. Philippe Wajdenbaum, Argonauts of the desert, 2014, with this discussion of an earlier article by Neil Godfrey. Dennis Macdonald, with a string of articles and books since at least 1994, with various critiques, but let me mention Richard Carrier’s and some rejections. The Zodiac is one crowning achievement of neolithical times and early history. Because of lack of cameras and lack of writing, early observations were couched in narratives. Such narratives would discuss gods and goddesses. For some, the narratives would start lives of their own. One question that arises is how the Zodiac relates to these ancient tales, like Gilgamesh or the travels by Odysseus. In my book The simple mathematics of Jesus I pointed to the use of the Zodiac as some kind of a map for the New Testament. I also observed that the NT ~ OT. (See some reasons to summarize the OT into the NT.) Hence, if OT ~ Homer then we may surmise that the Zodiac would also be relevant for understanding the Odyssee. This argument holds in more cases. A criticism on Macdonald is that passages in Mark refer to passages in the OT, so that Macdonald is erroneous in linking Mark to Homer. However, when the OT is also based upon Homer, then the link could still be correct. The only inference that would change is that Mark might be less Hellenizing than Macdonald suggests. “And the great Hellenistic thinker, Plato, composed a tale that has epitomized the best of Hellenistic values and Western values since. His allegory of the cave tells us how a would-be saviour of a people will do all he can out of compassion to rescue others. But at the same time those he loves and would save will not recognize him or his claims. They will even scoff at him, and even eventually seek to kill him if they ever have the chance. A standard notion is that Ptolemy Soter (367-283 BC) introduced the syncretic god Serapis to unify the beliefs of his Greek soldiers and his Egyptian subjects. A hypothesis by Russell Gmirkin is that also the Septuagint was a deliberate creation and no mere translation of what already existed in completion – see this discussion at vridar.org. An argument is that Ptolemy’s actual name was Lagos – Rabbit – and that there is no explicit mention of rabbits in the Septuagint. The latter might however also be accomplished by mere editing, so we would want to consider more arguments. A major problem is that the OT assigns full power to the priests in Jerusalem, and it is not clear why Ptolemy would create such an OT, and why he didn’t want full power to the king, who would he himself. It depends however upon the period. The Ptolemies and Seleucids would battle about Palestine. In the period from Alexander till the arrival of the Romans, Palestine changed hands five times. Perhaps some Ptolemaic ruler wished for an independent Palestine like a buffer state ? or did create a syncretic text – so that the original oral tradition “was much worse”. Thus, when we consider the creation of a syncretic gospel that had to combine both Judaism and Greek thought, then the authors may well have been tempted to take Socrates as the most powerful story available, and put a personage like him in the lands of Palestine. Both Socrates and Jesus were convicted by a trial. The idea of a court trial that judges on the hero is ancient enough: compare the Osiris myth. (2) In religion, there is the distinction between the theology and the daily practice (mass, births, weddings, funerals). My essay SMOJ suggests that Plato’s philosophy didn’t develop into a religion since he forgot to develop a liturgy and to train priests who would do the rituals. It may however well be that Plato did develop such a religion, namely what became known as Christianity.